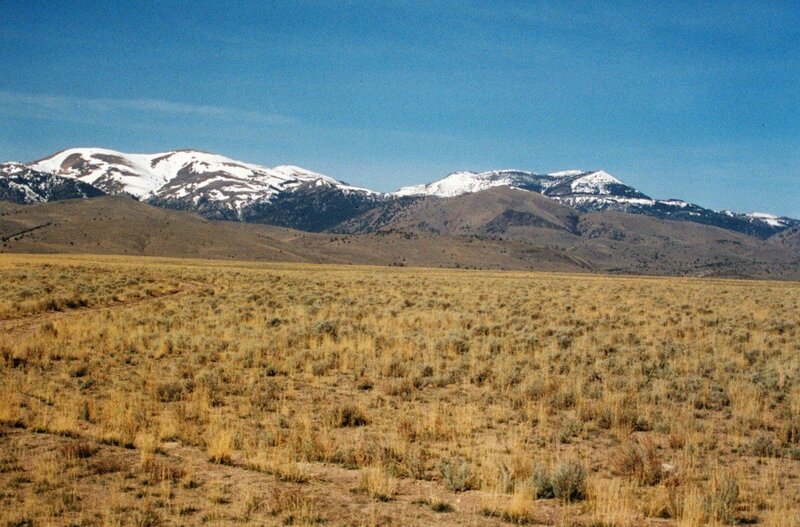 The Owyhee Mountains are covered in the book on pages 343 to 347. The website contains significant updates and expands on the book’s content. 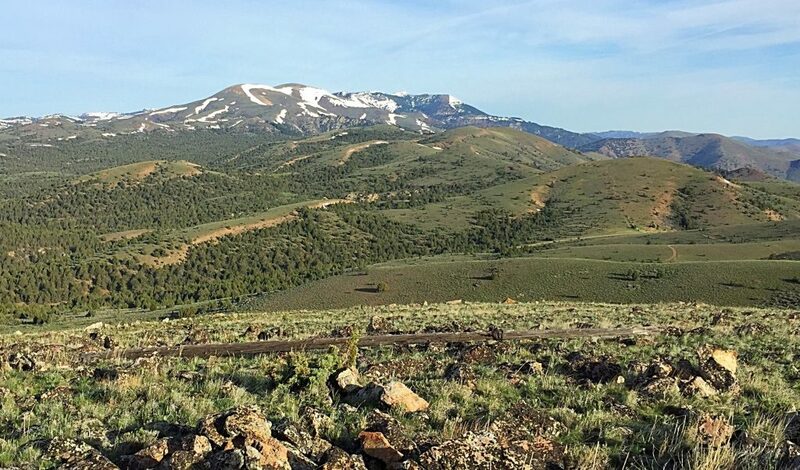 See the Owyhee Mountains Peaks List for all of the peaks in this range. 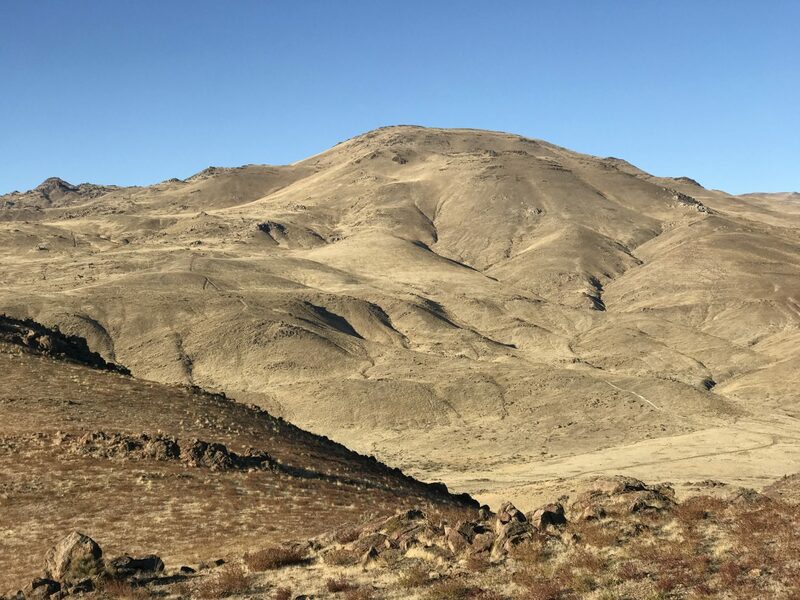 The Owyhee Mountains are an incredible mountain uplands that are still mostly unknow to most climbers. The range was forced up by the Owyhee Batholith 40 million years ago. 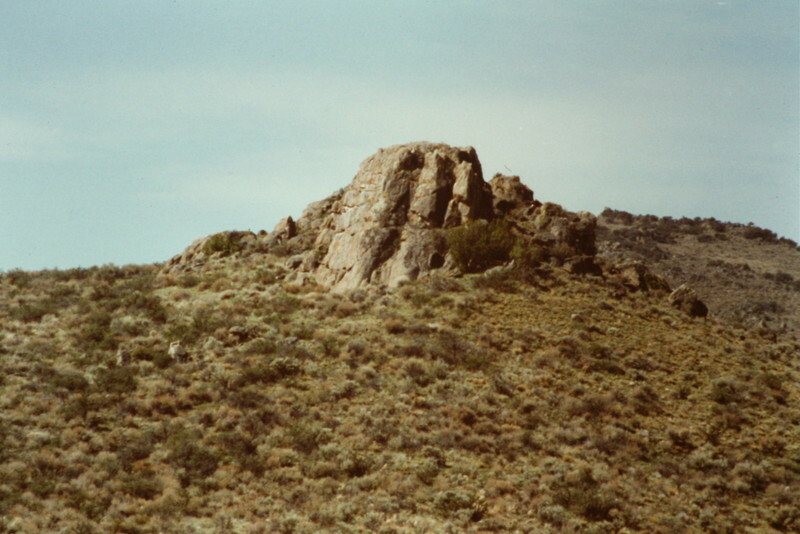 Some geologists believe that Owyhee Granite is part of the Idaho Batholith, isolated from the main batholith by the passage of the Yellowstone hotspot. 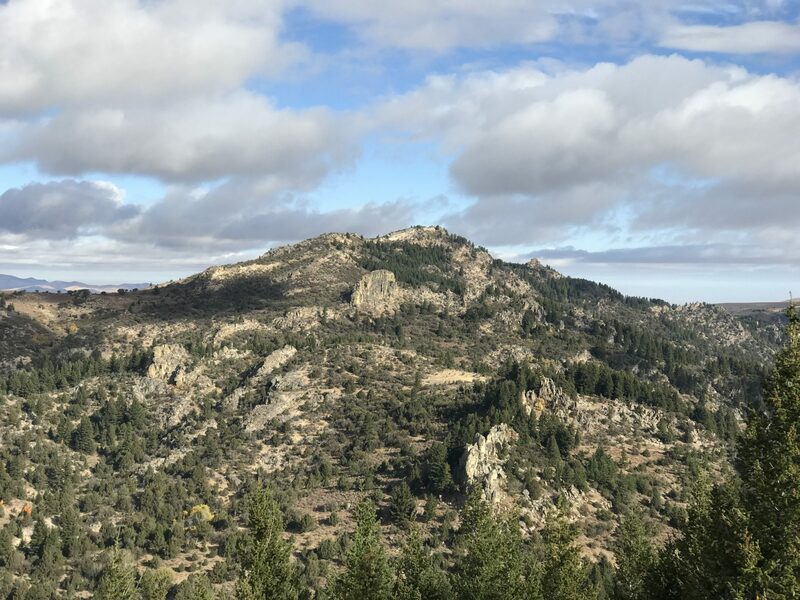 Much of the range’s granite is covered by Miocene rhyolite that erupted as a result of a meteorite impact 17 million years ago. The range is surrounded by the younger volcanic rocks of the Snake River Plain, and is still covered in places by extensive deposits of older sedimentary rock. 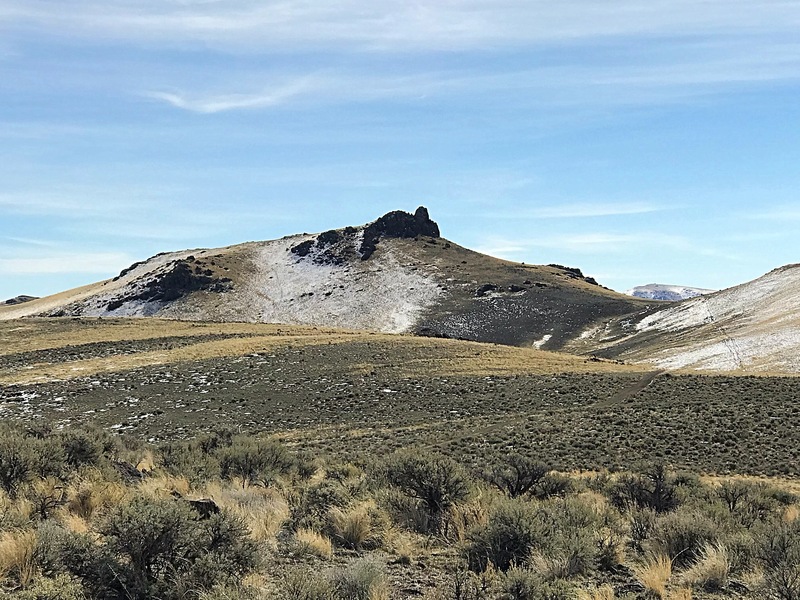 Where Owyhee granite has been exposed to the surface, it has formed impressive outcroppings and an occasional dome. 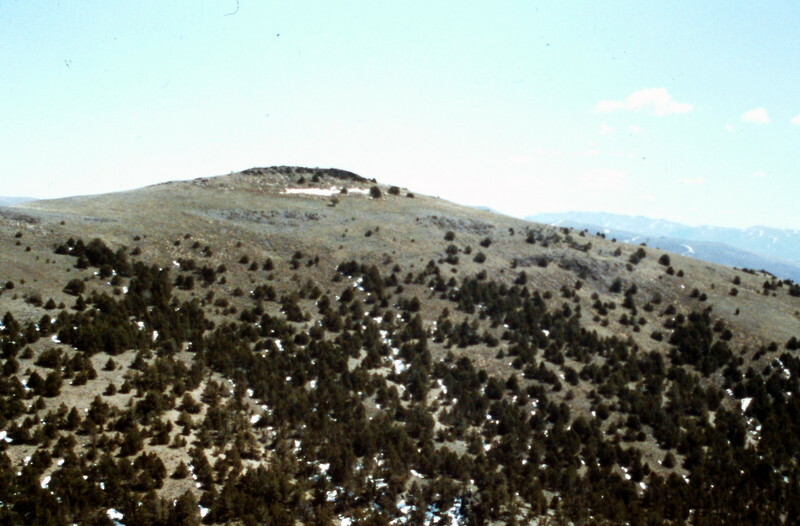 Slacks Mountain viewed from Peak 7047. There is a lot of private property interspersed through out the range. Please read Private Property, the Idaho Code, Trespassing and You by Margo Mandella to help you understand the complications caused by private property. Looking over Toy Pass toward QuickSilver Mountain from Peak 6302. 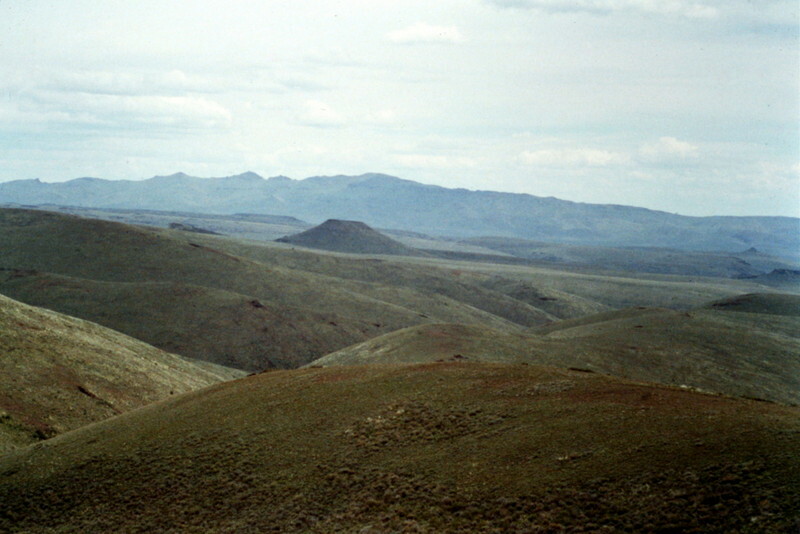 The Owyhee Crest looking east to Turntable Mountain (on the right) and Hayden Peak (at the far skyline). Most climbers and peak baggers ignore the range because of its long history of mining and its attraction to off road vehicle enthusiast. 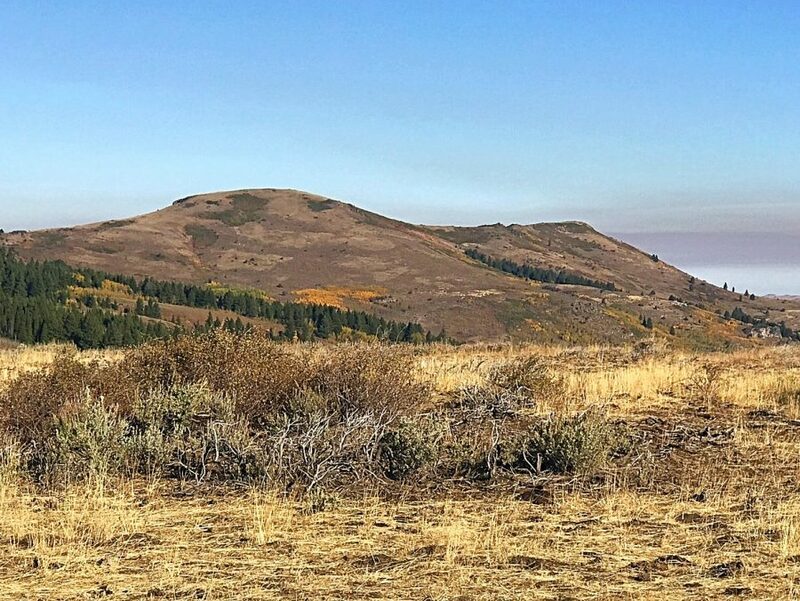 Yes, there are a lot of mining roads and you may run into a dirt bike but the range is vast, three wilderness areas are enclosed within it’s boundaries and the mountains beyond the Silver City area are wild and usually empty. There are 141 peaks (either named or unnamed in the range. 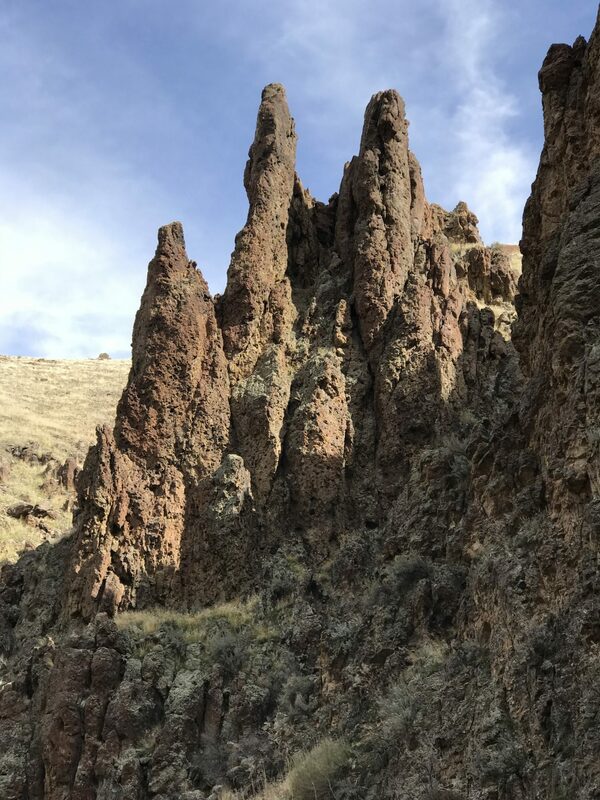 See The Owyhee Mountain Peak list page for all of the peaks. You can also click on the Owyhee Mountains entry for all peaks that I have update since the book came out and, of course, the book has a lot of additional information on the range. 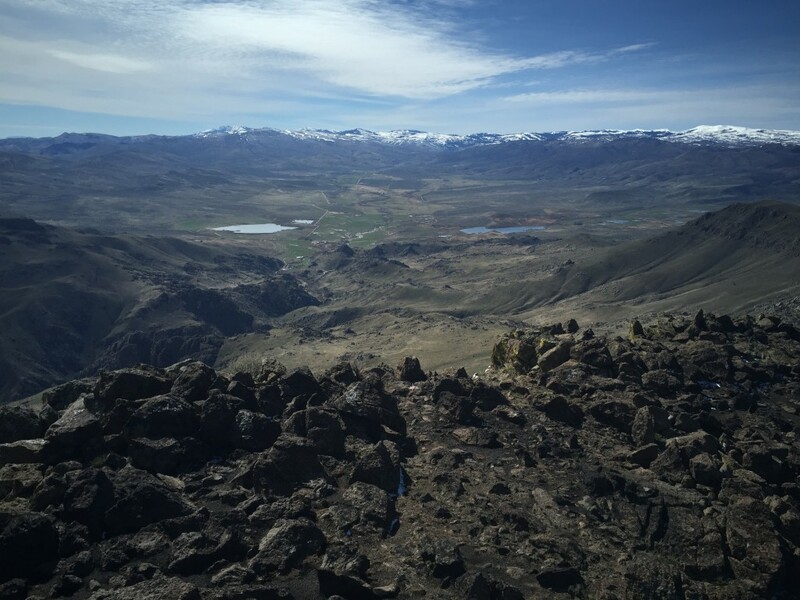 Access Updates: Owyhee Mountains Access is covered in the book on pages 345 to 347. The following updates expand on the book. Additional access information is found on many of the website’s peak pages. Owyhee Uplands Back Country Byway. 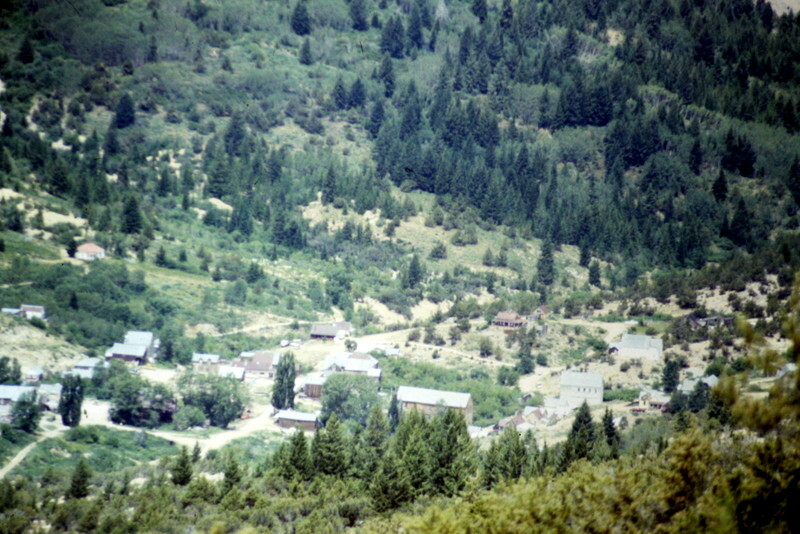 The old mining town of Silver City sits in a basin on the south side of the range’s highest peaks. During the summer and hunting season the area will often be crowded on weekends. 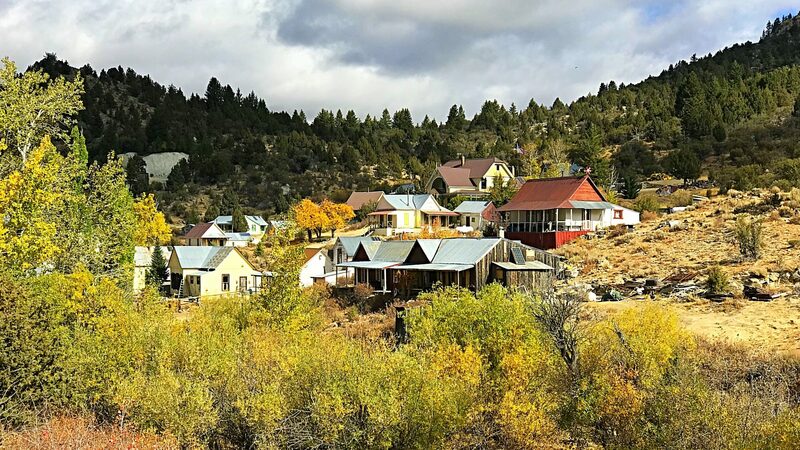 Silver City in the heart of the Owyhee Mountains is as isolated as any Idaho town. 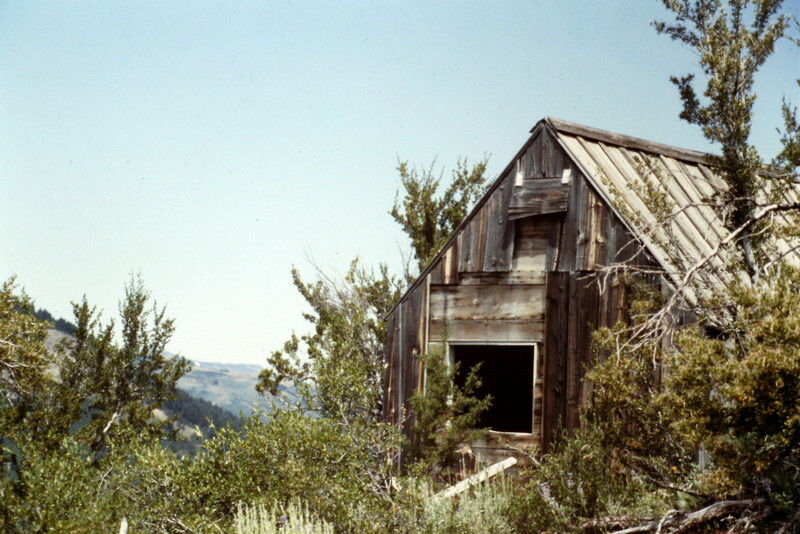 Evidence of the mining era can be found through out the range. The Owyhee Front from the Snake River Plain. Quicksilver an Hayden Peak. Wilson Peak viewed from Peak 3260. 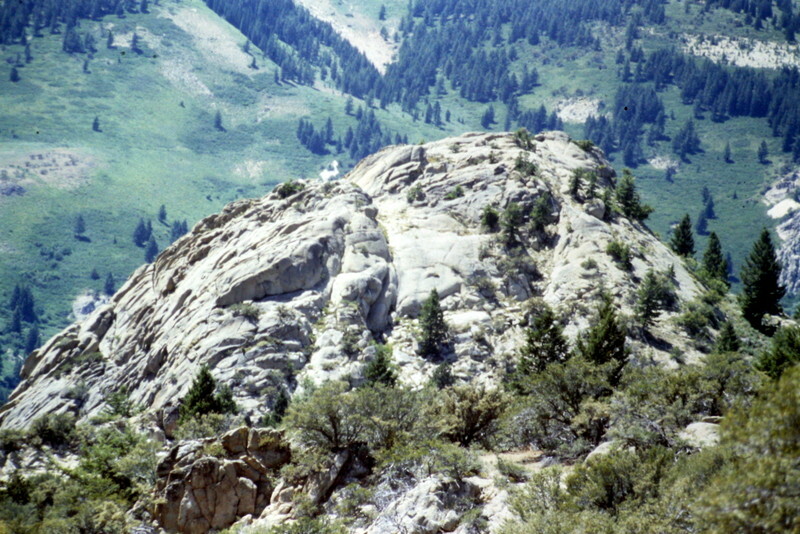 This granite dome is located near Silver City. Despite its fine lines, I have not heard of any rock climbers trying to climb its faces. The Owyhee Mountains encompass many impressive canyons. 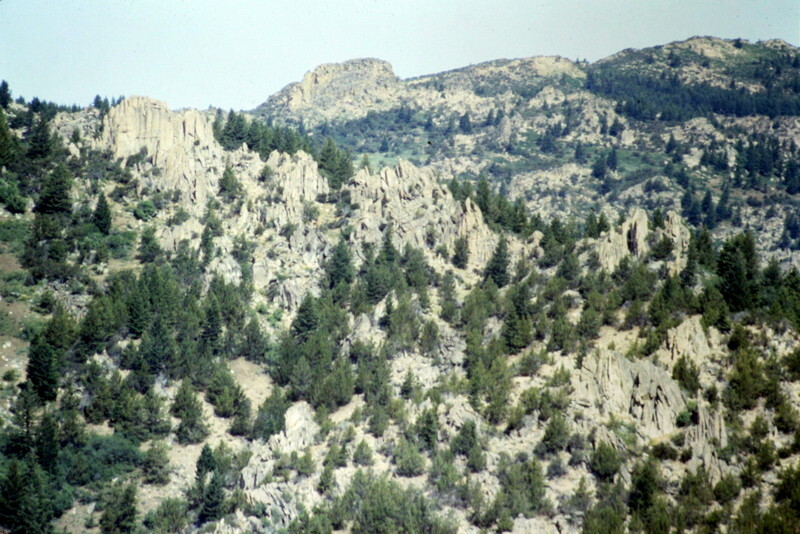 This formation is in the Hardtrigger canyon. The range even has its own granite badlands. 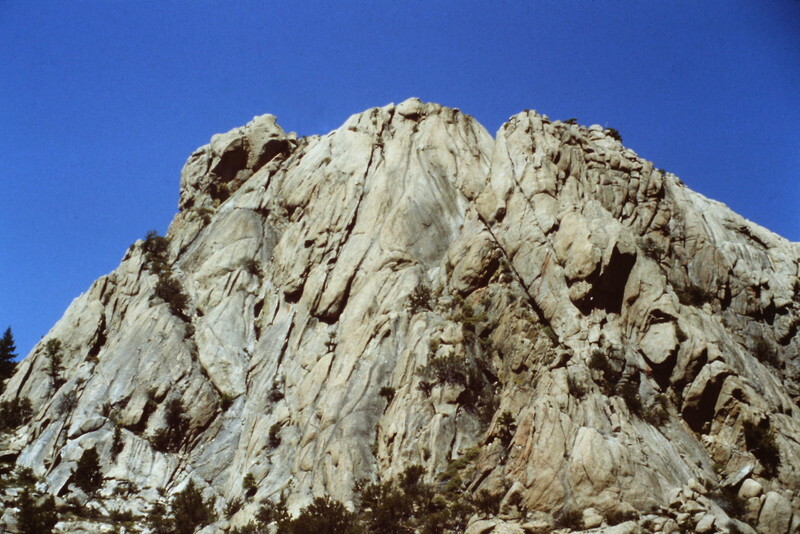 More granite above Silver City. 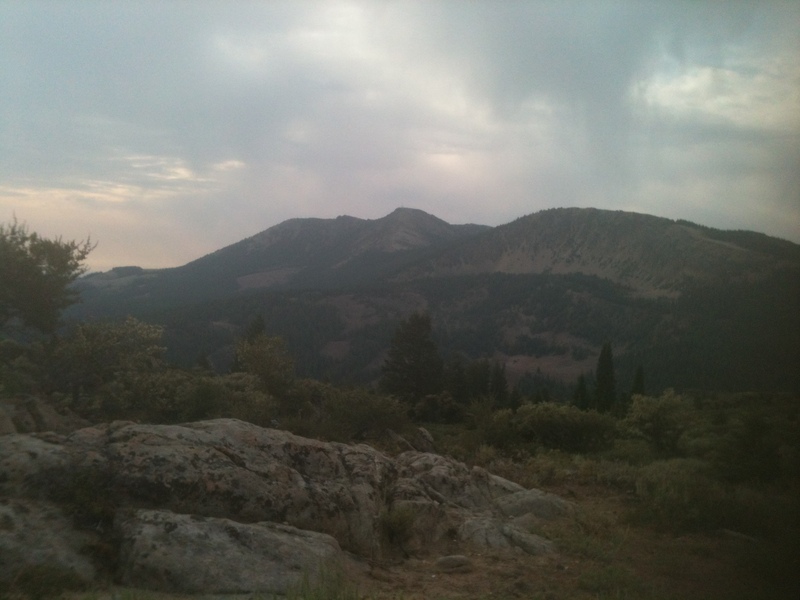 The view from the summit of Soldier Cap looking in to the Reynolds Creek drainage with the Silver City range on the skyline. 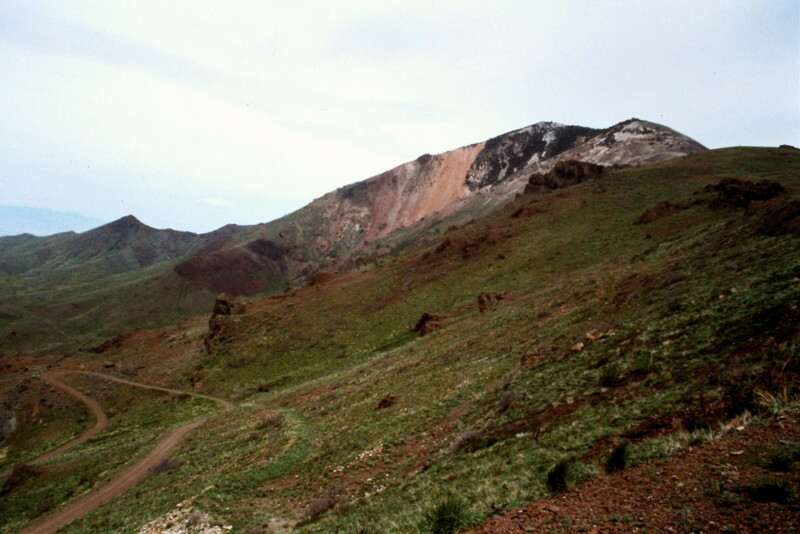 The northwest corner of the range is more volcanic in nature. Jacks Benchmark viewed from the northern Owyhee Mountains Crest Road. 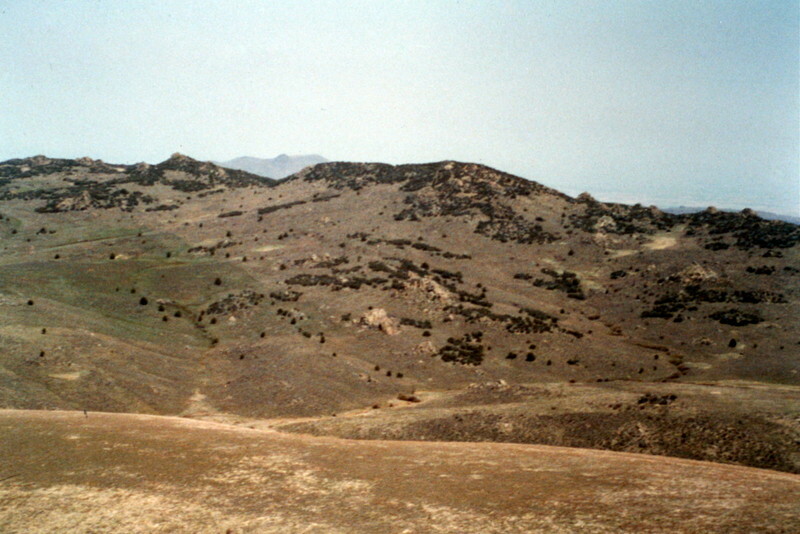 Another view in the northwest corner of the range. Yet another northwest corner landscape. Access in the range outside of the area around Silver City can be problematic as many roads are not well maintained and private property blocks a lot of areas. No Trespassing signs need to be heeded as the law is usually enforced. This shot is from the Reynolds Creek area. This is the view looking east from Quicksilver Mountain. 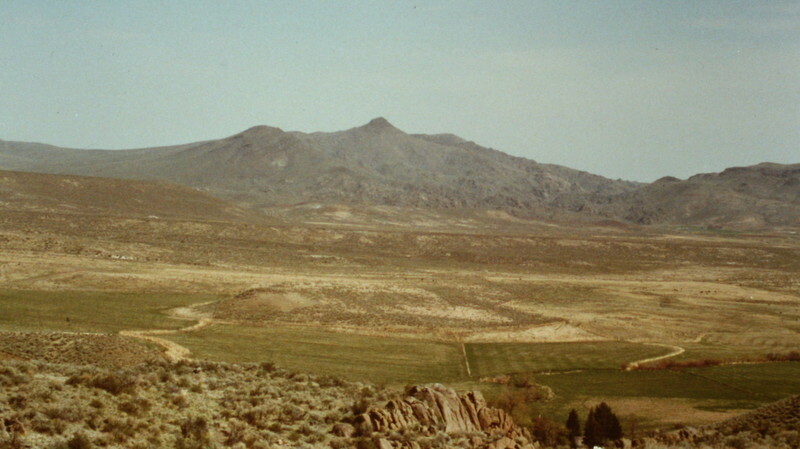 Owyhee terrain varies greatly over the ranges expanse. 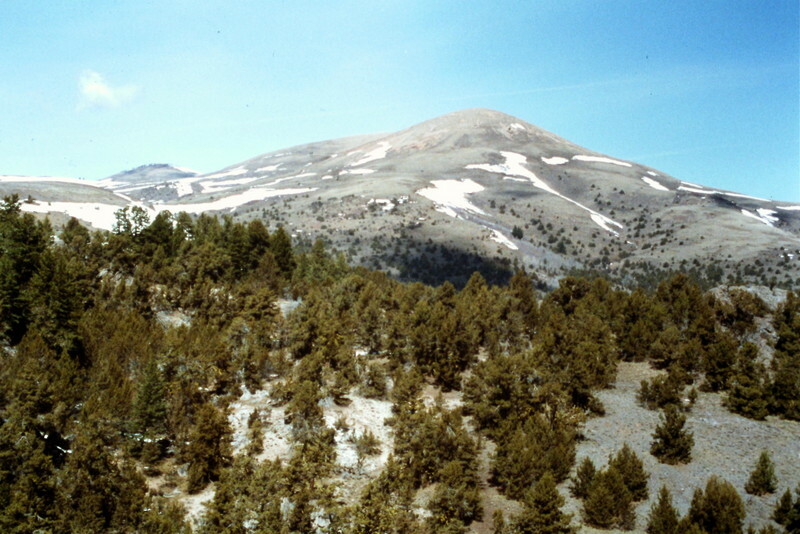 The highest peaks are clustered around Silver City. Shares Snout viewed from the northwest.